Nga Puhi Northland Maori (Red) Jr. Hoodie A fashion "must" that defines today's hip style, our Jr. Hoodie is a body-loving curve-hugger. From American Apparel, get into baby soft 100% super fine-combed cotton fleece. Front zipper, hood and pockets to keep the chill off. Nga Puhi Northland Maori (Blue) Jr. Hoodie A fashion "must" that defines today's hip style, our Jr. Hoodie is a body-loving curve-hugger. From American Apparel, get into baby soft 100% super fine-combed cotton fleece. Front zipper, hood and pockets to keep the chill off. 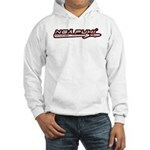 Nga Puhi Jr. Hoodie A fashion "must" that defines today's hip style, our Jr. Hoodie is a body-loving curve-hugger. From American Apparel, get into baby soft 100% super fine-combed cotton fleece. Front zipper, hood and pockets to keep the chill off. Nga Puhi Northland Maori (Brown) Jr. Hoodie A fashion "must" that defines today's hip style, our Jr. Hoodie is a body-loving curve-hugger. From American Apparel, get into baby soft 100% super fine-combed cotton fleece. Front zipper, hood and pockets to keep the chill off. 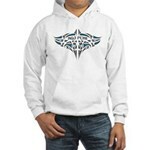 Nga Puhi Moko Jr. Hoodie A fashion "must" that defines today's hip style, our Jr. Hoodie is a body-loving curve-hugger. From American Apparel, get into baby soft 100% super fine-combed cotton fleece. Front zipper, hood and pockets to keep the chill off. Nga Puhi Northland Maori (Red) Hooded Sweatshirt Stay warm with our Hanes Ultimate Cotton Pullover Hood. Constructed with a heavyweight 90/10 cotton/polyester blend. Thick (but not bulky), comfortable, durable and guaranteed. Nga Puhi Northland Maori (Blue) Hooded Sweatshirt Stay warm with our Hanes Ultimate Cotton Pullover Hood. Constructed with a heavyweight 90/10 cotton/polyester blend. Thick (but not bulky), comfortable, durable and guaranteed. Nga Puhi Hooded Sweatshirt Stay warm with our Hanes Ultimate Cotton Pullover Hood. Constructed with a heavyweight 90/10 cotton/polyester blend. Thick (but not bulky), comfortable, durable and guaranteed. Nga Puhi Northland Maori (Brown) Hooded Sweatshirt Stay warm with our Hanes Ultimate Cotton Pullover Hood. Constructed with a heavyweight 90/10 cotton/polyester blend. Thick (but not bulky), comfortable, durable and guaranteed. 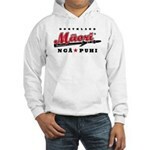 Nga Puhi Moko Hooded Sweatshirt Stay warm with our Hanes Ultimate Cotton Pullover Hood. Constructed with a heavyweight 90/10 cotton/polyester blend. Thick (but not bulky), comfortable, durable and guaranteed.